Average 4.18/5 out of 56 total votes. Wally West has returned to the DC Universe! 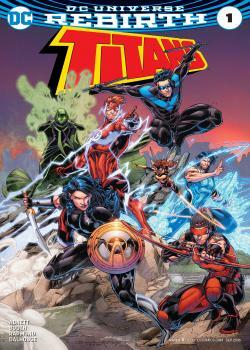 And now, the Titans set their sights on a dangerous enemy with the power to change reality itself! But the Titans have never faced a threat this massive before, and with so much on the line, will they be able to stand united as a team? Or will their past mistakes be their undoing?